Deluxe Futura Style casters are designed exclusively for "euro-style" chairs. 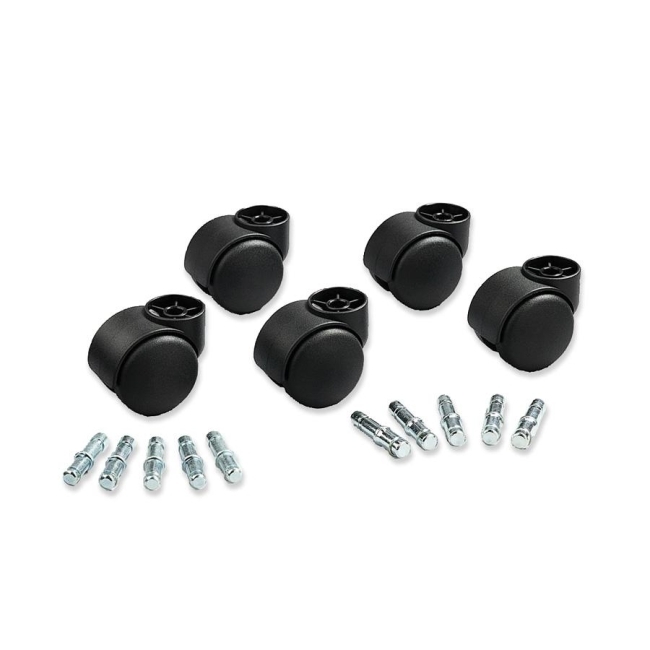 Specially designed 1-1/2" diameter neck fits 1-1/2" diameter chair bases (sold separately), creating the illusion of chair leg and caster being one unit. Use these 2-3/16" diameter casters with soft wheels on hard floors and chairmats. Weight rating is 100 lb. per caster. Casters include 7/16" x 7/8" B stems and 3/8" x 1" K stems.